A reference to help navigate course selection. LWHS offers an engaging Head, Heart, Hands curriculum, with a wide array of unique learning experiences. This handbook explains many of the policies governing the curricular program, and is designed to be a resource for students navigating decision-making around course selection. Do I have any graduation requirements to fulfill? Have I met the prerequisites for this course? How balanced is my course load for my personal wellness, learning needs and extracurricular activities? The Course Catalog includes titles and descriptions of course offerings for the upcoming school year, department overviews, and resources such as LWHS Graduation Requirements, UC Entrance Requirements, and a four-year course planning grid. Students will be granted most of their requests, but are not guaranteed to get all of their first choices. In order to maximize placement in first choice classes, it is critical that students follow all directions on the course request form, including ranking the required number of choices, and submitting by 3:30pm, Apr 16, 2018. Returning students register for classes once during the year. In late March, students attend grade-level info sessions to learn about changes to the academic program and to receive advice on choosing courses and filling out the course request form, which will be available online on the day of the info session. Students complete the forms, gather parent/guardian electronic signatures, and submit them by the indicated deadline, usually around mid-April. Incoming 9th grade students register for courses by returning their course request forms to the Admissions office in the spring prior to entering the school. Note on Scheduling Philosophy: At LWHS, the mission governs our scheduling process in important ways. In order to provide students with a truly balanced and meaningful Head, Heart, Hands education, we balance requirements with student choice. We have a robust electives program, and yet students will sometimes not be able to take every course they want in their four years. Similarly, we cannot accommodate students who have learned a topic beyond our course offerings, and instead invite them to explore other areas of study. We uphold the principles of equity, access, and inclusion by using a priority system when we receive too many requests for a given class; once priorities are exhausted, we use a lottery to assign available seats. Finally, we do not accept requests for specific teachers or for specific blocks, unless made through Student Support Services. Students do have the opportunity to modify their schedules during the Add/Drop periods at the beginning of each semester. The 2018–19 course request forms and the medical release/activity form become available during grade-level course information sessions on the morning of March 20 and 21, 2018. All course request forms must be successfully submitted online before 3:30pm, April 16, 2018. The medical release/activity form can be dropped off in the LWHS "all school" wooden box in the Front Office during school hours before 3:30pm, April 16, 2018. During the course period, students should meet with their advisors, teachers, department chairs, and parents/guardians about questions or considerations in course selection. The Frosh/Sophomore and Junior/Senior Deans, Assistant Head of School, College Counselors, and Dean of Students are also available to meet with students during specific hours to be announced to students and families at the start of the course request period. To be accepted for consideration, course request forms must be filled out properly and completely, include necessary signatures as indicated, and be accompanied by the completed medical release/activity form. Students submitting the online course request form and/or medical release form late will lose priority in their course request. Once a student successfully submits their forms, the student and one of the student’s parents/guardians will receive an automatic email confirmation. All students are guaranteed enrollment into courses at the designated grade levels necessary to fulfill their LWHS requirements, which parallel or exceed UC's minimum admission requirements. Students have an increasing degree of choice in creating their course schedule as they progress through the grades, with ample opportunities to pursue their interests, passions and future goals. However, students are not guaranteed to have every request granted, due to factors such as course availability, unfulfilled prerequisites, unexpected demand, and the number of "singletons", courses for which only one section exists. The school works to honor students’ ranked choice requests, and uses a priority system to ensure that the process is transparent and equitable. For elective courses (including a second course in a given department), students are given priority based on seniority (seniors, juniors, and then sophomores). In order to maintain equitable access, we use a lottery to distribute remaining spaces. For senior seminars in History and English: we strive to grant students their first or second choice, but if section availability and demand create an overly subscribed class, we use a lottery to place students. These courses fulfill graduation requirements, and cannot be dropped. Technical Arts courses—In the case of oversubscribed Technical Arts courses, priority will be given to students who have not yet fulfilled their graduation requirements. Repeating Courses—Students may repeat level 2 courses in Visual Arts and Technical Arts, and all Performing Arts courses. Preference is given to students seeking to enroll in these courses for the first time. Doubling in courses—Students may take a second course in a single department as an elective, if space permits. Students taking one course in the department or who need the course to fulfill an LWHS graduation requirement will be given priority for available spaces. Students may not take three courses simultaneously from a single department. Beginning with the class of 2022, seniors may double if they have completed their graduation requirement in Math, Science, or World Languages and choose not to continue in that department. Each student must be enrolled in a minimum of six courses per semester, regardless of grade level. TA and Independent Study positions may not count as one of a student's six core classes. One of a student's important decisions is whether to have one or two free blocks. To this end, students should consider the number of honors or homework-heavy courses they are requesting, as well as their outside commitments and extracurricular activities. Frosh may take up to eight classes. They take seven required classes, including English, Math, Biology, World Language, Body-Mind Education (BME), Contemporary Media and Art (CMA) and Design & Technology (DT). An 8th class would include a Performing Arts offering or META. Sophomores may take up to seven classes. They take required classes in the five "a–e" departments—World History (a), English (b), Math (c), Chemistry (d), and World Language (e)—and one semester of Health. Sophomores should consider taking at least one of the two required semesters in Technical Arts, although students may satisfy this requirement at any time prior to graduating. Sophomores may choose to keep two free periods or select one additional yearlong or two semester-long electives from the three Arts departments, as well as electives such as Philanthropy, Journalism, Creative Writing, and the BlendEd program. Juniors and seniors may take up to seven classes, with a minimum of five total courses from the "a–e" departments: History (a), English (b), Math (c), Science (d), and World Language (e). For 2019–2020 school year, students may choose to take a sixth class from the "a–e" departments. If a senior has completed their graduation requirement in one of these five departments, they may request classes in four of these, subject to approval by the Assistant Head of School. Beginning with the class of 2022, students will be allowed to take a maximum of five courses from the departments listed above (a–e) during junior and senior year. Seniors who have completed their graduation requirement in Math, Science, or World Language may continue with their study in those departments or may take a second course from an a–e department (i.e. “doubling” in a department). All junior English and History courses are designated as Honors courses, as are seniors English seminars. Students may choose to enroll in additional Honors courses, up to a cap of three per semester. Students enrolled in three Honors level courses (outside of English and History) may choose to take 7 courses, but one of the 7 courses must be in either Visual Arts, Performing Arts, or the Technical Arts. They may also choose from Journalism, Creative Writing, or the Philanthropy Initiative. Student schedules are made available online to students, parents, and teachers on July 2, 2018. Students and parents may access to their schedules on the school website. Students receive their year's course assignments and schedule in July. Students who wish to make any changes to their schedule may place requests during the Add/Drop period held during the first four school days of the fall semester, two days in early December, and the first two days of spring semester. Schedule changes are not made outside of the Add/Drop period in order to provide transparent and consistent course selection for all students unless there is a significant error on the schedule. All students must fill out an “Add/Drop/Change” form to have their request considered. Once an “Add/Drop/Change” form is turned in, a student must continue attending classes assigned on their original schedule until they see on their online schedule that the requested course has been added or dropped. The school will do its best to accommodate course requests made during the Add/Drop period using the same priorities that were used during the scheduling process. Requests to add courses for reasons of teacher or schedule preference will not be considered. Students may not drop a course after the Add/Drop period has ended, except in special circumstances. Students who feel they require a late course drop must speak with their grade level dean. Students may not drop a yearlong course during the spring semester Add/Drop period. Support is available to students during this time at the Add/Drop help desk that is set up in the foyer. LWHS defines auditing a class as “attending a class that is not on a student’s course schedule.” LWHS does not permit students to audit classes, as this negatively impacts student/teacher ratios. Exceptions to LWHS policies around course selection, scheduling, and course priority are rare. They are generally made in extreme circumstances involving student health or family emergencies and are usually by recommendation of the Student Support Services team. Requests for exemptions or exceptions should be made to the Assistant Head of School Randy Barnett. The Center supports the student body by developing and implementing programs designed to ensure student success. The Director of Student Inclusion, Leadership, and Civic Engagement also provides opportunities for students to build upon their leadership skills in co-curricular programs. For more information, please contact Director of Student Inclusion, Leadership, and Civic Engagement Christine Godinez. Support and advise Student Council and related activities, including elections, dances, and student events. Implement regular student leadership trainings for club leaders and other students. Recruit and prepare students for local and national conferences related to diversity issues. Support students making the transition to independent school/LWHS culture. Support and advise students who exhibit academic, personal, or social challenges. Help infuse leadership and service learning opportunities into the LWHS curriculum and the expansion of students' participation in public service and political discourse. The LSC serves as a hub of academic support outside of the classroom. Students who want to hone their academic skills, overcome cognitive barriers, or improve their mastery of the curriculum can access a variety of resources through this office. The LSC Director is available to advise students on study and organizational strategies and to assist in academic skill building. LSC staff also coordinates services for students with diagnosed physical, learning, and attentional differences. Upon the provision of diagnostic documentation which meets specific guidelines (available on the Learning Strategies pages of the LWHS website), the LSC Director works with students and families to articulate students’ learning styles and to compose individualized Learning Plans. The LSC Director then assists students in requesting and accessing appropriate accommodations. The LSC Coordinator is available by appointment to work with students on organization, time management, and writing skills. The Peer Tutoring program is coordinated through the LSC office. The LSC provides a quiet, comfortable space for tutoring, study, and group work. LSC staff proctor accommodated tests. For more information, please contact LSC Director Winifred Montgomery. META was created for frosh in order to ensure that every student has the resources they need to fully participate and find success in all facets of the LWHS community. This program began as a way to proactively address the preparation gap we recognize among students as they transition to LWHS from such a wide array of middle schools. We realize there are certain academic tools, skills, and habits of mind that help students find success in LWHS' particular culture and rigorous environment. We aim to augment these proficiencies, create a supportive learning community and provide additional layers of support with the META program. In turn, we expect that our students will be leaders not only in their classrooms but also in our school community as they develop all these skills in our program. Students in the META program meet three times per rotation in a regular class block. Instructional time in META consists of mini-lessons and one-on-one coaching in several subject areas. Topics include critical reading and writing, the study of math, and world language. META also holds workshops on study skills, organizational skills, goal-setting, meta-cognitive strategies, and an overview of LWHS academic culture. META is staffed by a team of educators chosen for their specialization in frosh curriculum and their deep understanding of the specific developmental needs of college bound students at this stage in their academic careers. For more information, please contact Frosh/Sophomore Dean Chris Yin. Immediate Student Support—Team members organize and manage support for and communicate with staff, students, and families about any students referred who are observed to be experiencing a social, emotional, behavioral, or academic challenge. Members of the team design and monitor action plans to address particular student and family needs. Makes recommendations to increase coherence among and refine student programs to better support all students. Identifies patterns among expressed teacher concerns and student performance reports, and proposes changes to systems to address them, including areas for potential professional development. What should students consider when selecting courses? Students should selectcourses that reflect their interests, challenge them appropriately, and enable them to maintain social and emotional well-being through a healthy balance of academics, extracurriculars, and free time. Students should check their transcript to make sure they are on the right path to fulfill all graduation requirements. Juniors and seniors should discuss their course selection plans with parents/guardians, college counselors, teachers, and advisors in order to determine the most appropriate and challenging courses. College counselors inform colleges about LWHS academic policies and course offerings through the school profile and letters of recommendation. There is no predetermined number of Honors or Accelerated courses that a student must take for college admission. Colleges look beyonda student’s curriculum, grade trends, and standardized test scores to such things as extracurricular activities, personal narrative, application essays, and teacher recommendations. LWHS electives offer a variety of on-campus opportunities for discovering, developing, and deepening extracurricular interests. Advancing through courses in the Performing Arts, Technical Arts, and/or Visual Arts will show colleges evidence of meaningful engagement, breadth, and depth. Most selective collegesexpect juniors and seniors to maintain a schedule of five courses spread between History, Math, World Languages, English, Science, and at least one course either in the Technical Arts, Performing Arts, or Visual Arts. Frosh should thinkcarefully about enrolling in an eighth class, as maintaining a free block can be important for students with busy extracurricular lives. How many courses are students allowed to take in a semester? Students are requiredto take a minimum of six courses in a semester, with five of them from the following departments: Math, Science, World Languages, History, and English. This is a basic requirement for most selective colleges. Seniors who have completed graduation requirements in an academic discipline may choose to take four "solids,” but are advised to consult with a college counselor first. (Colleges will primarily focus on the "solids" when considering rigor of curriculum, while other courses will be used to assess a student’s interests.) Beginning with the class of 2022, students will be allowed to take a maximum of five courses from the departments listed above (a–e). Seniors who have completed their graduation requirement in Math, Science, or World Languages may continue with their study in those departments or may take a second course from an a–e department. Students may takea maximum of seven courses, while frosh may choose an eighth course from the Performing Arts Department, in place of a free block. A Teaching Assistant (TA), Independent Study (IS), or PPP cohort may count as a seventh course, but not a sixth course. Juniors and seniorsmay choose to “double” (taking two classes in one discipline). The school cannot guarantee space in courses for all students who wish to double, but every effort is made to accommodate student interest while maintaining a transparent and fair scheduling practices for all students. In order to maintain the low student to teacher ratios, to ensure equitable scheduling, and to ensure that students are experiencing the breadth of a Head Heart Hands education, we do not allow students to take three classes concurrently from a single department. Where can I find out about courses for the upcoming school year? Please refer to the course catalog to gain a fuller understanding of the curriculum at LWHS. The course catalog is updated each spring, before the student course signup process begins. All courses that will be offered in the school year are listed by department in the online course catalog, which can be found on the LWHS website > Curriculum > Course Catalog. How is a student’s GPA determined? LWHS uses an unweighted GPA for all students. To learn how to calculate a GPA at LWHS, please read the information in the green “Downloads” box on this page. What type of academic advising is available to students? Should the student have one or two free periods? How many Honors courses should the student take? Should the student take a sixth homework-heavy course? For further information about the types of year-round academic support that are available, please see the academic support box above. What should students do if a course they request is full? We use a priority system for scheduling classes to ensure equitable access. It is critical that students rank several choices on their course signup form so that if they can't get into their first choice the scheduler will have alternative options. Occasionally, students may feel it is important to let colleges know that they could not get into a certain course because it was full or conflicted with other courses. In this case, they should discuss it with a college counselor, who can make this information available to admissions officers through their letter of recommendation. When students receive their schedules on Mon, July 1, they should only contact the school if there are errors, such as only having five classes, being put into a class they’re not qualified for, et al. All other schedule changes should be during the Add/Drop period in the first four days of each semester. Requests are not guaranteed, but the school will do its best to accommodate course requests made during the Add/Drop period using the same priorities that were used during the scheduling process. Students may not drop year long courses at the end of a semester. When students fill out the Add/Drop/Change form they should follow all instructions, clearly state the reasons they are requesting a change in their schedule, and then list the courses that they are willing to “give up” in order to accommodate the request. Students will not be contacted directly, but will see changes that have been granted on their online schedule within 24 hours. Students need to follow their existing schedule until any changes are made. Students will not be allowed to drop a course after the Add/Drop period, unless there are special circumstances (usually health related) and the drop is approved by Student Support Services. Dropping a course will usually result in a Medical Withdrawal or Withdrawal notation on the transcript. If students or parents/guardians have questions regarding course scheduling or the Add/Drop procedures they may contact Assistant Head of School Randy Barnett. Why does the school choose not to offer Advanced Placement (AP) courses? In 2011, LWHS decided to phase out its few remaining AP courses following a highly participatory, yearlong conversation with students, faculty, parents/guardians, trustees, and college admissions officers. This change occurred, in large part, because LWHS teachers want to create innovative, rigorous courses that are (1) relevant, compelling, and impelling, (2) aligned with current knowledge and best practice in their fields, and (3) reflect teachers’ particular passions and the school mission. LWHS knows, both from experience and research literature, that teachers are most successful at engaging students when these three goals frame the work they do. It is also the case that LWHS programs have, for many years, been truncated and eclipsed by the intrusion and distraction of AP exams during the first three weeks of May, well before the school year is over. Further, the pro AP argument that AP credits allow graduates to skip introductory college courses and, perhaps, graduate in less than four years, is no longer valid for two reasons: (1) increasingly, colleges and universities are abandoning the practice of granting automatic promotion based on AP scores, (2) entering college frosh are generally welcome to take placement tests if they seek admission to upper level courses. In sum, we have found that the AP program has become a limiting, rather than an enriching, factor in the school’s determination to provide a true 21st century educational experience for the 21st century students. What should students be aware of regarding the SAT, ACT, and SAT Subject Tests? All students will take the PSAT on campus in 10th and 11th grades. All students should then take the ACT or SAT in the late winter or spring of junior year. We recommend students wait to begin official standardized testing until that time to ensure sufficient preparation and optimal results, and to prevent over-testing. Some students should take two SAT Subject Tests in spring of junior year and/or the fall of senior year. Students can choose to take one, two, or three subjects on a single test date. Students will discuss and plan SAT Subject Tests with their college counselor junior year. More information can be found in the SAT Subject Test Info document in the “Downloads” box on this page. The University of California (UC) campuses do not require SAT Subject Tests. However, we suggest that many students take two or more to remain competitive for admission. The UCs do not stipulate which SAT Subject Tests a student must submit, but they will not accept the Math Level 1 Subject Test. Several colleges recommend two (in a few cases, three) SAT Subject Tests; at the time of this publication, only five colleges require SAT Subject Tests. Certain programs (particularly those in science and engineering) will require students to take a specific SAT Subject Test. Please visit the College Board and ACT websites for more information about each test. What is the relationship between LWHS graduation requirements and the University of California (UC) and California State University (CSU) admission criteria? By fulfilling LWHSgraduation requirements and maintaining a 3.0 weighted GPA (for the UCs, or a 2.0 GPA for the CSUs) in UC/CSU approved courses, every student will be eligible for admission to the UC and CSU campuses. To satisfy theUC and CSU A–G Subject Requirement, students must complete a minimum of 15 of these “A–G” college preparatory courses, with at least 11 finished prior to senior year. Please see the UC/CSU A–G Subject Requirements in the green “Downloads” box on this page. LWHS’ graduation requirements surpass the UC and CSU requirements. Competitive eligibility at the more selective UC and CSU campuses can be achieved by exceeding the A–G Subject Requirements, and achieving a GPA higher than the minimum. The UCs and CSUs calculate a weighted GPA for each applicant, giving an extra point to Honors, college-level, and AP classes. Most LWHS classes are UC approved. The list of UC approved courses can be found on the University of California website. Can students select their teachers and/or the block that they would like to take a course? Due to the complexity of the scheduling process, LWHS does not make accommodations for teacher preference or scheduling elegance. The only exceptions to this policy are given to students with diagnosed learning differences who work with the Learning Strategies Center Director Winifred Montgomery, or to students under active consideration by the SSS (Student Support Services) team. The SSS team takes into account any recommendation made for teacher preference by the LSC Director, and the team makes a recommendation to the Assistant Head of School. Generally, this occurs before the course signup deadline in the spring. What is the cap on the number of Honors courses a student can take in a semester? Central to an LWHS education is the school’s mission to provide students with a head, heart, and hands education. Pursuing Honors courses exclusively can mean that students are not developing broader skills and interests, and may not be maintaining a healthy balance, since these classes are highly challenging and homework intensive. Therefore, students may take no more than three Honors level courses per year from the table below. Students enrolled in three Honors classes may take a seventh class from the following options: Visual Arts, Technical Arts, Performing Arts, Journalism, Philanthropy, Independent Study, or Teaching Assistant. Because students are automatically enrolled in English 3 Honors, US History Honors (both taken junior year), and English 4 Honors: Senior Seminars, those courses do not count towards the Honors cap. What do students need to know about Independent Study and Teaching Assistant (TA) courses? Independent Studies provide a way for individual students to explore topics not offered in the LWHS curriculum. They can be a way to demonstrate to colleges the depth of a student’s interest in a particular subject. Students work with a faculty advisor, meeting at least once per rotation. Being a Teaching Assistant in a class gives a student the opportunity to develop leadership skills and to continue to engage in a subject they enjoy. Independent Study and TA courses are considered electives, not alternatives to the six required courses. Students may take an Independent Study as a seventh course. Independent Studies are to be treated as formal courses that take up at least one regular block on a student’s schedule in a rotation. TA courses meet either during the class session or during the teacher’s free block, as in the case of science teachers who work with a TA to set up labs. Independent Study and TA courses are graded Pass/Fail, are semester-long, and will appear on a student’s transcript. Independent Studies can be requested during course requests in the spring and/or the Add/Drop period during the first two days of each semester. Students submit a proposal for an Independent Study or TA to the cooperating teacher, the sponsoring Department Chair, and the Assistant Head of School. Independent Studies are generally meant for individuals and not groups, but students may request an exception. TAs must have previously taken the course for which they plan to TA. Teachers choose, on an individual and departmental basis, whether or not to participate in an Independent Study project. A teacher may sponsor one independent study per semester. Teachers may have up to four TAs but not more than one per class/free block. Public Purpose Program (PPP) Independent Studies allow students to work in groups on topics featuring a service element, and this is one way of satisfying the junior/senior PPP requirement. Proposals should be directed to the Public Purpose Director, Alan Wesson Suárez. Can a student “double” in a content area? Yes, juniors and seniors may take a second course concurrently in a given department, if there is space available after all students are enrolled in their required courses and first choices are granted for non-doublers. Students who have exhausted a program in one academic area (such as World Languages) and need a fifth course will be given priority during course scheduling. We do not allow students to take three classes concurrently from a single department. Can a student sit in on a class that they are not formally enrolled in? No. A student may not take a course that is not on their own course schedule. In order to maintain a fair student to teacher ratio, LWHS does NOT permit students to audit courses. Do any LWHS courses have prerequisites and/or require auditions? Yes, certain courses require that students take an introductory (prerequisite) course, or receive permission from the instructor before they can enroll. 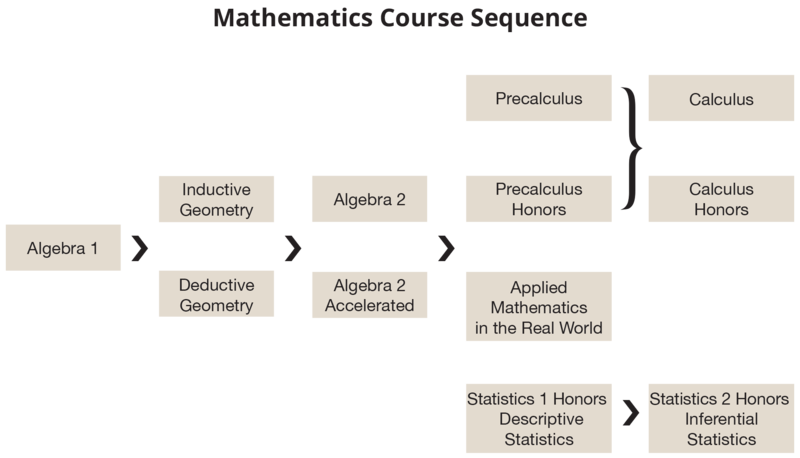 Math—See the math flowchart in #10and read the Course Catalog to learn more about policies on Math placement and sequence of courses. Performing Arts—Auditions and/or permission from the instructor are required for Advanced Combo, Big Band, Chamber Orchestra, Dance 2, Dance Ensemble, and Vocal Ensemble. Science—All upper-level science courses require the prerequisites of Biology in the 9th grade and Chemistry in the 10th grade. Students interested in taking Honors Physics must have also successfully completed Physics and Precalculus. Any questions regarding the Science prerequisites or which Science courses are best suited for a particular student’s interests and skills can be directed to the student’s current science teacher and/or to Science Department Chair Don Rizzi. Technical Arts—Students must pass the core requirement Design & Technology to be eligible to enroll in Technical Arts offerings. In order to enroll in Jewelry 2, Fabrications with Fabric 2, or Community Computing, students must pass level 1 of the respective course or have the approval of the instructor. Students may choose to repeat a course, but priority will be given in scheduling to students who have never taken the course. Visual Arts—Students must pass the core requirement Contemporary Media and Art to be eligible to enroll in Visual Arts offerings. Students must successfully pass level 1 offerings to be eligible for level 2 offerings such as Photo 2 or Architecture 2. Students may choose to repeat a level 2 course or a course in the department without a second level, but priority will be given in scheduling to students who have never taken the course. World Languages—After third quarter grading, teachers will notify students about advancing to accelerated or honors courses. Students must meet the minimum grade average in the course that they are currently enrolled in. For more information see the World Languages fact sheet on Honors/Accelerated courses in the green “Downloads” box on this page. Questions about the World Languages placement process can be directed to World Languages Department Chair Ivonne Hernandez. What does a student need to know about course sequences for Math? A test is given to incoming students to determine their appropriate placement. Students who earn less than a C– in a prerequisite course are required to repeat the course at LWHS prior to advancing in the mathematics curriculum. Repeating with a summer course is possible with department approval. Students need to demonstrate success in Algebra 2 or Precalculus in order to move to Precalculus or Calculus, respectively. Students who are deciding between Precalculus, Applied Mathematics, and Honors Statistics should consult with their teacher, advisor, or Math Department Chair Annie Mehalchick. What should a student consider when selecting a Science course? As in all disciplines, student course selection in Science should be driven by interest, passion, curiosity, and future academic/work ambitions. For specific questions related to individual Science courses, students should talk to their current science teacher and/or Science Department Chair Don Rizzi. Both biological and physical sciences are appropriate for admission to college. Students who areconsidering pursuing a science or engineering degree or a career in medicine are strongly encouraged to take a Physics course. Brain and Behavior is a social science. For the University of California (UC) and California State University (CSU), it qualifies as a college preparatory elective, but not a laboratory science. Please see the UC/CSU A–G Subject Requirements in the green “Downloads” box on this page. When should a student fulfill their Technical Arts requirement? LWHS has a two year Technical Arts requirement. The first year of the requirement is fulfilled by enrollment in the 9th grade, yearlong Design and Technology course. The second year of the requirement can be fulfilled by taking two, semester-long Technical Arts courses at any time during their subsequent three years at LWHS. We recommend that students take at least one semester of Tech Arts during their sophomore year. What does a student need to know about course sequences for World Languages? Accelerated and Honors—In order to enroll in an Accelerated or Honors course it is important for students to read the Course Catalog descriptions and requirements carefully. See the World Languages fact sheet in the green downloads box on this page for more specifics about the process to enroll in an Accelerated or Honors class. 9th graders who enter LWHS with a significant fluency in a particular language are encouraged to begin study in a new language. They will not be placed in level 4 honors course for developmental and pedagogical reasons. Please contact World Languages Department Chair Ivonne Hernandez, if you have questions about this policy. Grade requirement to advance to the next language level—In order to advance to the next language level in the World Languages department, students must earn a C- or higher at the end of their second semester. A student with a second semester grade lower than a C- will need to repeat the course or take an accredited summer school course. The World Languages Department strongly recommends that a student who earns a C- for the second semester take a summer course to be better prepared for the next language level. Number of Required Years of Study—Students must take at least three years of courses within the World Languages department and must complete a level three course. Students who attain level 4 their sophomore year will be required to take one year of a new language. Placement Exam—Incoming students wishing to be placed at a level other than the introductory first-year course must take a placement examination. Can a student take courses outside of LWHS? LWHS does not allow outside credit. Students sometimes take courses outside of LWHS for enrichment or credit recovery, but the grades earned will not be factored into a student’s grade point average and the courses will not appear on the LWHS transcript. The exception to this rule occurs when students take a semester away from LWHS. Courses taken during the semester away may count towards fulfilling LWHS graduation requirements, in consultation with the Assistant Head of School. However, the courses and grades will not appear on the LHWS transcript. Per student request, the College Counseling Department will forward copies of non-LWHS transcripts directly to colleges. Once the course has been completed, students should have the institution mail an official transcript directly to our Registrar Kelleigh Trowbridge. What role does a summer school course play in the LWHS curriculum? A student fails a required course such as English 1. They may take an accredited summer school program to recover credit and enter the next course in the sequence in the Fall, with a passing grade. A student receives a C- or less in a World Languages class or a D+ or less in a Mathematics course will not be allowed to proceed to the next level. A passing grade in a summer school course, along with a satisfactory placement test score, will enable students to enter the next course in the sequence. A student receives a grade of less than a C- on any course. While a D+ or D is passing at LWHS, it is not for UC’s and students are strongly encouraged to take a summer school course for credit recovery. Algebra 1 students who earn an A may take a department-approved summer geometry class, allowing them to enroll in Algebra 2 as 10th graders. 11th grade Algebra 2 students who receive an A may take a department-approved summer Precalculus for placement into Calculus. Note that students may not skip any other LWHS Math course. All students completing summer work must provide LWHS with a transcript in the summer class AND must take a LWHS placement test to determine advancement. Students considering summer work should consult with the Math Department Chair Annie Mehalchick, and indicate in the appropriate section of the course signup form that summer work is planned. Some colleges do consider summer school courses and grades by calculating a student’s grade point average to reflect all course work completed while in high school. Please see FAQ 12 for more information about transcripts and how courses are reported to colleges.